Our contractors can install classic and easy-to-use slider windows to enhance your home. Tired of battling with old windows that are hard to open? If so, the solution to your problem lies with an installation of Atlanta slider windows! 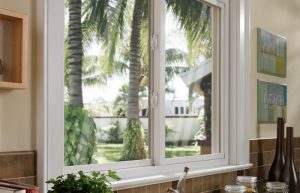 With these simple and affordable windows, you can start enjoying a fresh breeze in your home with the touch of a finger. At Tight Line Exteriors, we offer the customizable slider windows you need with superior installation to help you get the most out of your home improvement budget. With our BBB accreditation and commitment to providing the best value in the industry, we’re the top choice for exceptional window replacement services. Easy Operation: Simply slide these windows open for easy access to fresh air in any room of your home. One finger is all it takes to effortlessly roll the window panes open! Wide Sightlines: Slider windows open horizontally, so you get the best in expansive views and natural light. Several Design Options: Enhance this traditional window style by choosing from a variety of colors, sizes, and styles—including single, double, or triple sliders. Easy Maintenance: High-quality construction and durable vinyl frames make these windows easy to clean and strong enough to hold up to the toughest weather. Increased Energy Efficiency: Our slider windows seal tightly and are enhanced with innovative features to improve the thermal efficiency and comfort of your home. When you can get improved curb appeal and lifetime value with your upgraded replacement windows, why put off the installation any longer? We encourage you to contact us today at Tight Line Exteriors to learn more about the slider windows and comprehensive services we offer. Give us a call or fill out our online quote form to get started with a free, no-obligation estimate now!